International roundtable discussion: Teaching of Jewish History and Culture at Universities. Evaluation of Experience and New Visions. EAJS Congress, Kraków, Poland. July 2018. EAJS Congress, Kraków, Poland. July 2018. In the decades after World War Two, Jewish Studies became a separate field of studies in Humanities at Western European universities, while experience in Eastern European academic institutions in this field is far more recent. As other disciplines in the Humanities, Jewish Studies may benefit from international exchanges and cooperation. Especially in the context of growing challenges to the Humanities in general, and also to a small field like Jewish Studies, the time is right to evaluate former experiences and to discuss potential initiatives for such forms of cooperation. During the discussion we encourage to building of a network of scholars for research and teaching cooperation to develop studies of East European Jewry on the one hand, and to bring the knowledge to the teaching of Jewish studies, on the other. The aim of the following discussion is to find means and ways to improve teaching of Jewish studies in Europe by developing new or improving existing programs of Jewish studies focusing mainly on history and culture of Eastern European Jewry. We aim to discuss how to provide a balanced, high quality studies for future young scholars and to ensure its existence in the future. We also aim to make studies of East European Jewry dynamic, global and engage with the teaching of East European History, both local and general. A discussion will invite speakers – leading scholars and teachers – from European and Israel universities to discuss ongoing Jewish studies programs in different universities and discuss the need of cooperation in teaching Jewish studies, possibilities to establish common teaching network, or international Jewish studies MA program in the future. 14.50 – 15.00 François Guesnet (UCL), Jurgita Verbickienė (Vilnius University), Closing remarks. First day of the meeting was dedicated to discussing two different programs of Jewish studies – the one MA program under the title “Cultural and Intelectual history between East and West”, practiced by Cologne university, together with their partners: Warsaw University, The Higher School of Economics of Moscow, and Belgrad University. Another one – collaboration on local level between several Israeli universities on teaching Eastern European studies. These presentations were followed by discussion what aspects of these programs can be successful and which not in different European universities, what other challenges they experience in teaching Jewish studies, and how much international they may be in each case. 10.50 – 11.00 François Guesnet, Jurgita Verbickienė, Closing remarks and future perspectives (creating of a network). The main purpose of the second day was to receive talks on couple of specific issues from scholars, hear the initial vision on the developing Jewish studies in Europe and give some insights, comments, on what should be the priority, what is feasible and what is not, what are the prospects of Jewish studies. The whole development of international Jewish studies programs and cooperation initiatives should be rational and separated into different phases and stages. Firstly, by involving unique and interesting already prerared courses on various topics of Jewish studies into an international European platform, to be shared (by virtual means, visits of invited scholars, consultations, etc.) among instututions and their students, to give them a broader knowledge and to inspire cooperation between institutions, students, and teachers. To encourage universities in students’ exchange practices, especially in the form of field research, research trips and etc. This would broaden their knowledge on specific topics and would also bring into contact students and teachers from different countires. A long term cooperation and research projects are more likely to be developed after such meetings. The possibility of establishment of mutual Jewish studies (double degree, joint) degree programs was discussed. However, this idea needs to be developed gradually, starting from smaller scale cooperation. The need to strengthen cooperation with Israeli universities was discussed. All in all, the discussion enabled us to evaluate existing practices and given proposals on how to develop the Jewish studies programs in Europe and to make them more international. Scholars and teachers who participated in this discussion gave plenty of comments, tips, reflections that will be used to develop cooperation in teaching Jewish studies in Europe. This discussion which in some points was a new way for internal communication, allowed to identify not only main danger points, but also main possibilities, critical points, advantages of teaching Jewish studies in Europe. The most important initial steps in building the international teaching network in Jewish studies were taken and we believe that in the near future we will have an established network of Jewish studies tearchers and researchers, who would then develop wide range of initiatives of international cooperation both in teaching and research. Such cooperation would truly benefit for the development of Jewish studies, engagement of young scholars in this field. Promoting international cooperation in teaching by establishing students’ exchange practices; visiting teachers on specific topics; students’ field research and research trips; creation of video seminars and etc, which would help to establish small scale cooperation between universities and bring to larger scale projects in the future. To establish an international double degree MA program on Eastern European Jewish history, carried out by the Vilnius university Faculty of History and Jagiellonian University, Institute of Jewish studies. The discussion was very fruitful for launching this program: the preliminary program was set up, the meeting for further discussions were planned. The expected start of the program – academic year of 2019-2020. Simultaneously, the cooperation is being launched with the group of Israeli universities (Haifa, Tel Aviv, Ben Gurion, Ber Sheva) – in the near future the cooperation agreements will be established and further mutual activities launched. EAJS Workshop Report. ‘E Pluribus Unum? Multidisciplinarity in Jewish Studies Programmes and Teaching’. Museum of the History of the Jews in Girona. May 2017. The EAJS held a workshop dedicated to an exchange between colleagues from nearly a dozen European countries (Croatia, Czech Republic, Hungary, Germany, Italy, Netherlands, Poland, Slovenia, Spain, Ukraine, and United Kingdom), as well as from the United States and Israel, to discuss the potentials and challenges of the pluridisciplinary character of Jewish Studies. This event, entitled “E Pluribus Unum? Multidisciplinarity in Jewish Studies Programmes and Teaching,” was held on 28 – 29 May 2017, in the beautiful setting of the Museum of the History of the Jews in Girona (Museu d’Història dels Jueus), located in the former Jewish quarter in the heart of the medieval old city of this centre of Iberian-Jewish history. A grant from the Foundation “Memory, Responsibility, and Future” (“Erinnerung, Verantwortung und Zukunft”, Berlin) enabled the EAJS to offer many participants a travel bursary. The contributions from a great variety of programmes reflected the different challenges programmes in Jewish Studies currently confront across Europe (and beyond). One striking feature was the co-existence in one city of a variety of institutions offering structured academic teaching in Jewish Studies, leading to multiple opportunities for engagement, but also to overlap in a context of diminishing student numbers – a phenomenon related to a general current challenge to the Humanities, and exacerbated by shifts in students’ preferences. Another challenge to the field is misconceptions about the nature of Jewish Studies and Judaism in the wider public and among political and academic decision makers. Many colleagues deplored their relative isolation in their institutions and the lack of exchange among colleagues, as well as a lack of enthusiasm among students for the acquisition of necessary linguistic skills (especially demanding in European Jewish Studies). The limited employment opportunities for graduates of Jewish Studies programmes is another basic problem. A last matter of concern was the danger of Jewish identity being restricted and defined through the lenses of a particular Jewish regional culture. In the first panel of the opening section (Promises and Pitfalls of Multi-Disciplinarity), two examples of integration of university and rabbinical training were discussed. Myriam Silvera (University of Rome-Tor Vergata) explained the case of Rome where the rabbinical school partially merged with the university in order to create a Programme in Jewish Studies open to non-Jewish students. This has originated some situations where as result of a sense of growing Judeophobia, a Jewish teacher unconsciously attempted to “protect” and “to defend” the good image of the Jews, stressing the importance of some episodes of Jewish history, but minimizing others, and thus sacrificing objectivity out of a misguided sense of collective responsibility. She suggested requiring outside “supervision” as it happens for other sciences like psychoanalysis. Balasz Tamasi (Jewish Theological Seminary, Budapest) outlined the main phases of development, from its foundation in 1877 and its historical turning-points, of the teaching and the Wissenschaft des Judentums at the Budapest Rabbinical Seminary (since 2000, the Budapest University of Jewish Studies, Hungary). He also referred to recent problems and challenges for the teaching in the Jewish Studies programme with special regard to the requirement of multidisciplinarity. A short intervention by Matthew Kritz (BA student, Princeton University) complemented these presentations with observations about the challenges and successes in organising Princeton’s Undergraduate Judaic Studies Conference. The second panel of the section demonstrated the divergent approaches in teaching a core subject of Talmudic literature. Yehuda Brandes (Herzog College, Israel) presented a close reading of a sugya (Talmudic portion) as practiced by him, demonstrating the multiple layers and ramifications of meaning, the intertextual references and the varieties of past interpretations. 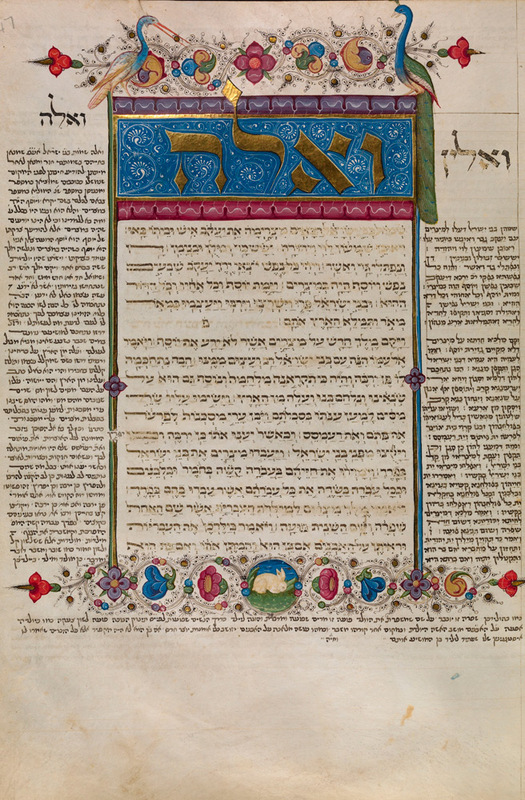 This stood in stark contrast to Federico dal Bo‘s (Autonomous University, Barcelona) feminist approach to a Talmudic tractate, illustrating the impact of Gender Studies on the study of the Babylonian Talmud and the need to integrate this theoretical framework for a comprehensive understanding of the Jewish textual tradition. He called attention to the implicit resistance of some scholars to this perspective, and exemplified it’s importance with the most eloquent case of gender issues applied to modern Jewish life, that of ʿaguna (literally: “chained woman”), a woman who is unable to remarry until the husband eventually agrees for divorce. Recent publications have examined this social issue, but have tried to propose a solution without taking into account any Gender Studies assumptions. The second section (Senior Institutions and Programmes: Achievements and Challenges) contrasted academic programmes in different university settings. In his presentation, Michal Galas (Jagiellonian University, Kraków) discussed experiences from over three decades of modern Jewish Studies at Poland’s oldest university, and the only one where students can obtain a BA and a MA in Jewish Studies. A once small research centre created in the mid-1980s, it developed into one of the most influential academic institution of its kind in Eastern Europe (and beyond). With hundreds of students learning Jewish history, culture, and languages, and a strong integration into the academic structures of the Jagiellonian University, the Institute of Jewish Studies has a lot to share regarding teaching programmes in a non-Jewish milieu, international cooperation, as well as future plans for the discipline. Alessandro Grazi and Irene Zwiep (University of Amsterdam) called attention to the recent developments in their own Department of Hebrew and Jewish Studies, where due to a reallocation of the university’s financial resources, they have faced the challenge of reducing (again) the costs of the BA and MA programmes without affecting their final attainment levels. For the BA, they have developed a business model aiming at sustainability through interdisciplinary collaboration, the crux of the model lying in the identification of common themes and approaches across a variety of local programmes, while staying committed to the skills and standards of international Jewish Studies. For the MA, they rely on a tailor-made programme of individual tutorials and traineeships combined with collective multidisciplinary teaching. It allows students to design their own curriculum in accordance with their specific professional needs, while being exposed to a broad range of perspectives, sources, and methodologies. In his presentation, François Guesnet (University College London) reflected on an attempt to bring the various disciplines in a Jewish Studies Department into conversation with each other. By identifying perspectives which Guesnet defined tentatively as “lateral research areas,” shared areas of expertise outside of the traditional disciplinary silos are reflected upon. These lateral research areas include, in the case of the UCL Department, strong involvement with visuality and visual cultures, translation in the broadest sense of the term, knowledge transfer, political culture and diplomacy, and the relationship between religion and politics. While there was general agreement that such discussions were worthwhile, their integration into the daily routine of a university department remains as significant a challenge as transdisciplinarity itself. The third section (New Horizons: Institutions and Challenges) of the workshop looked at other existing programmes across Europe and the current challenges they are facing. Pablo A. Torijano (University Complutense, Madrid) introduced the Hebrew and Jewish Studies programme at his university. The programme is rooted in a centuries-long Hebraist tradition, and indeed, Hebrew and Bible have been uninterruptedly taught at the University Complutense from its inception. However, it only merged into Jewish Studies in the middle decades of the past century. He also explained the troubles experienced by the Department of Hebrew and Aramaic Studies: despite being the oldest academic department in the country, the programme currently offers only a BA in Semitic Philology. Along with the university, and at a post-doctoral research level, students can continue advanced training and a scholarly research career at the Spanish National Research Council, where Jewish History and Sephardic Studies are cultivated alongside Bible and exegesis. Ricardo Muñoz Solla (University of Salamanca) presented the past and the present of Hebrew Studies at the University of Salamanca, a traditional programme in one of the earliest European universities to include Hebrew as one of the sacred languages in its curriculum. However, Hebrew Studies disappeared over time, and were re-established barely two decades ago. He presented the current strictly philological curriculum, including other Oriental languages such as Aramaic and Syriac, and also the forthcoming challenges of these studies, sharing some reflections on the future and means of enhancing these studies in the context of Spanish universities. The New Horizons section also included two presentations about programmes by colleagues from Ukraine: Vitaly Chernoivanenko (National University of Kyiv Mohyla Academy, Kyiv) and Vladyslava Moskalets (Ukrainian Catholic University, Lviv). While both are relatively newly established programmes, they include undergraduate and graduate teaching, and research, with a comprehensive range of disciplines and languages, and have considerable success in recruiting ambitious students. Also, both programmes have established international cooperation with academic Jewish Studies programmes including an exchange of students and faculty. A different perspective was offered by Katja Šmid (Network for South Eastern European Jewish Studies). She explained the establishment, on the occasion of a conference that took place in Belgrade in 2016, of a network of Jewish Studies scholars from South Eastern Europe, intending to encompass the former Yugoslavia and other surrounding countries. One of the goals behind the establishment of this network was the strengthening of the scientific relations among local scholars that, as result of the regional political instability that followed the Balkan Wars, were forced to continue their research under conditions of distress and isolation. In addition, the network contemplates the specificities of the regional Jewish cultures, and the effects these have had on the developmental delay of a Jewish Studies curriculum within the academic setting throughout these countries. Pavel Sladek (Charles University, Prague) talked about the new programme of Jewish Studies established in 2016 at his university. Arising from a previous programme of Hebrew Studies formally established in 1991, it takes its roots in the Hebraist tradition, in parallel to what we have seen in other European universities. The Charles University offers nowadays a MA four-semester programme in Jewish Studies. This poses a particular challenge since students arrive with a limited knowledge of anything “Jewish,” and also they have not absorbed what may be called (with some simplification) the Western Canon (or at least the notion and the related habits). Because of this, the study of a minority is decontextualized and ultimately the picture of Jewish civilization might get profoundly distorted and deprived of its meaning. As a remedy, the programme intends to introduce a core course, which will require the students to develop their acquaintance with select major works of Western culture both with and without direct link to Judaism and the Jews. This last part of the workshop provided the occasion for open-ended discussion on Multi-Disciplinarity and Cultural Diversity as Contexts of Teaching Jewish Studies in Europe, and took place at the patio of the Museum during a beautiful Mediterranean May afternoon. One of the subjects addressed was the establishment of Hebrew Ulpanim outside Israel as a way for dealing with the challenge of language teaching in Jewish Studies. Following her personal experience, Nomi Drachinsky (Ulpan Hebreo Sefarad, Madrid) offered practical solutions to this challenge in a non-Hebrew environment. Following her previous experience as a Hebrew Instructor and Programs Coordinator in the Rothberg International School at the Hebrew University of Jerusalem, she has become co-director and teacher at an Ulpan in Madrid, which has a cooperation agreement with the Hebrew University. This experience has enabled her to examine the differences between teaching the language in its native country and doing so in a place which lacks opportunities for practical application, or the normal daily situations that force a student to react quickly to find creative solutions. While reading, comprehension and grammar can be adjusted, listening and speaking skills are easily neglected in a non-Hebrew environment. She developed a set of strategies to create a native Hebrew speaking microcosm, suitable for all levels, “wrapping” students in Hebrew. As a result, students report better comprehension and reaction abilities, gain confidence, and their improvement is significantly noticeable. It was followed by a public event introduced by a presentation by Javier Castaño about the place of Jewish civilization in Spanish academia, showing the merger of Jewish Studies within the Hebraist and Biblical Studies tradition, as well as the evolution of the field in the academic setting throughout the most recent decades. The discrepancy between the proud and long tradition of academic Hebrew Studies in Spain and the requirements of a multidisciplinary approach to Jewish Studies difficult to integrate in the existing academic structures served as a fitting concluding example for the situation of Jewish Studies in early 21st century Europe. At the end, the participants expressed their enthusiasm for the setting and the relevance of genius loci for a productive discussion. Participants from a wide range of disciplinary and geographical backgrounds also enjoyed the opportunity to engage in informal conversation in the courtyard of the Museum, near the place where the last medieval synagogue of the Catalan city of Girona had once been located. The setting helped to create a collegial atmosphere for participants that was instrumental in the success of the event. The EAJS Executive Committee has taken note of the success of this event, and hopes to raise funds in the near future to support a series of annual meetings devoted to specific aspects of academic teaching in Jewish Studies. Tentatively entitled Nachmanides-Forum, these events should strive to involve colleagues from a large number of European (though not excluding non-European) countries and regions, and to encourage exchange between practitioners in the field and the conversation between academics of different degrees of seniority. The presentations offered multiple prompts for thought about how to ensure that progress in research is integrated in a timely and productive way into syllabi along with elements which constitute the disciplinary core of Jewish Studies programmes. Participants were impressed by the successes and popularity of programmes in Eastern Central and Eastern Europe, where Jewish Studies programmes enjoy considerable popularity and, by no means less important, structural institutional support from universities. Beyond the fascinating insights offered by the speakers, the event was a welcome opportunity to meet colleagues, exchange ideas and find inspiration. This was much helped by the hospitality of the Jewish Museum, and the facilities provided by its director, Ms. Sílvia Planas, who also offered a guided tour through the former Jewish quarter of the city, and also the warm welcome the event received from the municipality of Girona. EAJS Laboratory Report. ‘Summer Laboratory for Young Genizah Researchers and those Interested in the Field’. Ludwig-Maximilians-Universität, München. September 2017. From approximately the tenth to the nineteenth centuries the Jewish community of Old Cairo deposited their worn-out books and documents into the Genizah of the Ben Ezra Synagogue, a storeroom for retired texts. Countless leaves, many written in Hebrew script and thus deemed too sacred for an ordinary disposal, were placed there, along with the remains of treasured books, personal and official letters, amulets, calendars, and all kinds of written text that a highly literate community might produce. With the discovery of the so called “Cairo Genizah”, one hundred and twenty years ago, researchers from diverse disciplines and fields have gained access to an enormous and unprecedented collection of rare and original documents from the Middle Ages and Early Modern Period, more than 200,000 pieces in Cambridge University Library alone, along with other collections scattered worldwide. This remarkable storehouse of primary sources has thrown a fresh new light on the medieval society of the Mediterranean world as a whole (including Islamic and Eastern Christian history) and particularly on Jewish history and culture from ancient to early modern times. Given the scope, scale and diverse character of the material recovered from the Cairo storeroom, the Genizah continues to provide a seemingly inexhaustible source of primary research materials for scholars from a wide range of disciplines. Even with the essential tools that have been established over the last few decades to facilitate Genizah studies, gaining access to this vast field with its very specialized material is still a challenge to young researchers and thus calls for special training. The EAJS Summer Laboratory was therefore intended as a platform for advanced MA-students, PhD-candidates and Post-Docs who are interested in the field of Genizah Studies and wish to venture further into it. Opening remarks: In the opening remarks the conveners stressed that any work on Genizah fragments, despite the availability of microfilms in the past and digital images today, must take into consideration the physical aspects of manuscripts. Judith Olszowy-Schlanger (EPHE, Paris) highlighted the five ages of Genizah research: (1) “Orientalism and the Bible”, that was characterized by a link between Biblical and Judaic Studies (Solomon Schechter); (2) “Piecing together Jewish History”, that was marked by an awakened interest in Jewish history and liturgy (Jacob Mann); (3) “Economy and Society of the Mediterranean” (Shlomo Dov Goitein); (4) Manuscripts and the archival turn (New Philology); and (5) the Digital Age (multi-spectral imaging, ink analysis, Friedberg Genizah Project, Princeton Genizah Lab, automatic matching of fragments). Panel 1: In her presentation, The Features of ‘Popular’ Bible Codex Fragments from the Cairo Genizah, Estara J. Arrant (University of Cambridge) argued for the importance of studying ‘scrappy’ specimens (i.e. children’s or non-professional copies), rather than the well-known calligraphic Bible manuscripts. She offered an in-depth, detailed, and systematic study of the codicological and linguistic features of “popular” or “non-standard” Hebrew Bible codices in the Genizah. Her research aims to document thoroughly the physical features of these codices (including everything from quantitative analysis of manuscript dimensions, codicological form to palaeographic dating and scribal practice). She sought to determine their typology/ies and connect any non-standard linguistic phenomena to the physical features of the documents. Michael Rand (University of Cambridge) presented A Quick Introduction to Genizah Piyyut. In order to understand the forms and functions of piyyut, Rand first established a number of fundamental, relevant facts about Jewish liturgical practice: 1) the festival cycle, and 2) the cycle of Scriptural lections. The earliest stratum of the piyyut literature, referred to as Pre-Classical, is represented by self-contained poems that are composed for recitation on different liturgical occasions in the festival cycle. Rand showed how the poems of the Pre-Classical Period were usually arranged in accordance with the alphabetic acrostic principle and lack rhyme. Poems are usually arranged in a quadripartite division of the poetic line into feet of two stresses each, with the line divided into two parallelistic hemistichs, as inherited from the biblical parallelismus membrorum. Furthermore, the metaphoric/figurative language is almost exclusively limited to tropes and figures attested in the biblical corpus. Wissem Gueddich (EPHE, Paris) presented a paper on Writing Legal Deeds in the Jewish Court: From the Scribe Draft to the Court Archive. She called attention to the fact that fragments catalogued as legal deeds often contain a variety of texts: deeds of sale, court records, or drafts. Furthermore, she elaborated on the actual use of these fragments and their production. Alan Elbaum (UC Berkeley-UCSF), in his Representations of Illness and Somatic Distress in Genizah Letters, investigated how ill people themselves (rather than physicians) represent illness. Noting how little scholarship on the impact of disease on ordinary life existed, he gave several examples of expressions used to describe physical and psychological pain that were found in Genizah letters. Panel 2: Sacha Stern (University College London) opened with a paper on Calendars and Calendar Texts in the Cairo Genizah. He addressed the question as to what Jewish calendars looked like over the centuries. He demonstrated that the tabular mise-en-page, although common in the Roman tradition (i.e. the Fasti Antiates Maiores [84-85 BCE] and the Fasti Praenestini [1rst century BC]) and in continuity with them also later Christian Latin liturgical calendars, was not adopted by Jews until the 18th century. Previously calendars were in prose form. Furthermore, Stern showed that the Jewish calendar as it is known today, based on a fixed calculation and set of rules, is first attested in the ninth century, and probably reached its final form in the first half of the same century. Among the most important documents, all from the Cairo Genizah, are the texts that pertain to the calendar controversy of 921/922. Not much is known about the Jewish calendar in the preceding centuries. In her contribution The Palestinian Triennial Cycle and the Zodiac Calendars in the Dead Sea Scrolls, Helen Jacobus (University College London) summarized the contribution earlier scholars have made to the subject of the Palestinian Triennial Liturgical, from the end of the 19th century until the 1960s, with respect to the publication of manuscript fragments from the Cairo Genizah. She showed that the beginnings of the sedarim varied among different communities and that, furthermore, there is a need to update, edit and expand the last catalogue on this subject published by Jacob Mann and Isaiah Sonne. In addition, she presented findings of her own project that connects the zodiacal Aramaic calendars from Qumran with the Palestinian Triennial Cycle(s). Jérémie Allouche (EPHE, Paris), Going to Work in the Cairo Geniza: Surveying the Wage-Earners Conditions of Work, shed new light on neglected aspects of the socio-economic condition of Jews, especially with regard to salaried and manual labour. Showing that salaried labour is much better documented than previously thought, he drew attention to a number of legal deeds, and especially bilateral contracts of employment, that concern the hire of a person by someone else in exchange for a salary. Neri Ariel (Hebrew University of Jerusalem) spoke on Unveiling Reconstructed Halakhic Genre: New Horizons, Contributions and Ramifications of Genizah Research. Previous scholars have pointed out remnants from the Judaeo-Arabic genre of adab al-qaḍā, i.e. manuals for judges on proper and improper behavior in court and the judges’ qualifications and disqualifications. In this presentation, Ariel shared new developments and discoveries in the research on relevant Genizah fragments. He presented the attribution of a number of fragments to several books by R. Shemuel b. Ḥofni, R. Hai b. Sherira Gaon or Ibn Aknin. Keynote: The keynote lecture was delivered by Eve Krakowski (Princeton University) on Jewish Law in Practice: Genizah Legal Documents as Historical Records. She showed that the Genizah documents have to be seen in the much larger history of document preservation in Egypt, where exponentially more premodern everyday documents survived into modern times than anywhere else in the Middle East. These include vast numbers of Demotic, Greek, and Coptic papyri produced from the Ptolemaic era into the early Islamic period, and vast numbers of Arabic documents—produced first on papyrus and then from the 9th century on, on paper and occasionally parchment—from the Fatimid, Ayyubid, and Mamluk periods. All these documents offer a view of history different from, and often richer than, the view we get from literary sources. Documents reveal aspects of life beyond the purview of such texts, thus often termed history from below, as for example the mundane workings of state and local institutions; personal relationships between husbands and wives, or parents and children, or masters and slaves. In particular, Krakowski demonstrated how from the later 11th century on, Genizah legal documents transition from being either purely in Hebrew (or in the case of Ketubbot and Gittin purely Aramaic) or purely Judeo-Arabic into a trilingual format with a hybrid rabbinic-Islamicate character. These documents reproduce substantive rabbinic law and gain their legitimacy and value from their technical Jewish validity. These were, as she argued, produced by scribes naturally fluent in Islamic, or Islamicate, legal conventions and vocabulary. Panel 4: Dotan Arad (Bar Ilan University), in his The Late Genizah: Historical Background and Main Characters, showed the important of fragments that are usually subsumed under the inappropriate label “Late Genizah”. These fragments are usually later than the classic, Fatimid or Ayyubid, stratum and were written in other languages than Hebrew, Aramaic and classical Judeo-Arabic, many of them in Judeo-Spanish, but also Yiddish and Turkish. These documents undoubtedly testify to the existence of the largest group of immigrants in Egypt in the 15th century and onwards. Arad argued for a new periodization of the Genizah in which the later fragments could be called the Ottoman Genizah. Lenka Uličná (Jewish Museum Prague) spoke on Genizah studies: Inspirations for processing of local European Genizot. She focused on findings in Moravian and Bohemian Genizot from the 18th to the 19th century and highlighted similarities and differences in the typology of items coming from the Cairo Genizah and local European genizot, especially the Bohemian ones. Panel 5: Rebekka Denz (Freie Universität Berlin) and Gabi Rudolf (Universität Würzburg) opened with a paper on What to do with these snips? Experiences from the work with Genisot from Franconia. They presented their research on Franconian genizot (“Genisa-Blätter”) and showed how these Genizot may contribute to our understanding of Jewish regional history and everyday life in Franconia (http://v-j-s.org/projekte/genisaforschung/). Emma Abate (IRHT, Paris) presented on How to summon the spirits’. Instructions and manuscript tradition. She gave a survey of different types of magical fragments in the Cairo Genizah. Fragments can be divided into two main genres: amulets (understood as charms inscribed on different materials, such as parchment, paper or different kind of stones and metals, mainly for protective purposes) and segullot (referring to collections of magical prescriptions which should be performed in order to satisfy individual needs and desires). Abate further furnished examples of magical handbooks and books for summoning demons and spirits. Renate Smithuis (University of Manchester), speaking on Fifteen Thousand Fragments at Your Fingertips: The Genizah Collection at the John Rylands Library, Manchester, introduced one of the smaller and lesser known Genizah collections in Manchester. It holds about 15.000 fragments, which originally belonged to Moses Gaster (1856-1939). Gaster appears to have acquired his collections in two installments: the first around 1896, when the first “Egyptian papers” reached the market and the second around 1900. Most of its contents consist of small, single page fragments that tend to be late (18th and 19th century). Short Presentations followed by Friederike Schmidt (LMU, Munich), Nathan Gibson (LMU, Munich), Peter Tarras (LMU, Munich), Corrado la Martire (Humboldt Universität Berlin). Panel 6: Zina Cohen (University of Hamburg and EPHE, Paris) furnished an Analysis on Writing Materials of Genizah Fragments written during the First Half of the XIth Century. She focused on ink composition on some fragments found in the Cairo Genizah and written by the leaders of the Jewish communities in Fustat during the first half of the 11th century (Ephraim ben Shemarya and Yephet ben David from the Palestinian congregation and Elhanan ben Shemarya, Abraham ben Sahlan and Sahlan ben Abraham from the Babylonian community). In her talk, she highlighted how such a project will provides insights on trade, local technologies and social structures. Though ink composition alone cannot be used as a direct geochronological marker, superposition of chemical, palaeographical, codicological, and textual data would help to date and localize and serve as an additional argument for a typology and dating of other Hebrew scripts. Alexandra Pleşa (Leiden University), with a paper on Owning Dress in Late Antique and early Islamic Egypt: Identifying Large-Scale Patterns of Dress Use through a Quantitative Study of Greek and Arabic Documentary texts, focused on the various roles that dress played in the social, economic, and religious lives of non-elites in the Late Antique and early Islamic Egypt (fifth to tenth century CE). Her presentation drew mainly on the study of archaeological textiles from three Egyptian sites (Matmar, Mostagedda, and Berenike), as well as an analysis of terminology of dresses and the background in which they appear in approximately 260 editions of Greek and Arabic documents from Egypt, datable within the same period. Monika Amsler (University of Zurich) presented on Nomina Sacra and Other Observations on the Manuscript of the (so called) 8th Book of Moses (PGM XIII/ Leiden I 395). She elaborated on the use of Nomina Sacra in Greek magical papyri and their possible Jewish roots. Short Presentations followed by Meir Bar Maymon (Tel Aviv University), Saskia Dönitz (Johann Wolfgang Goethe-Universität Frankfurt), Sebastian Metz (LMU, Munich). The laboratory aimed at providing a platform for students who either have not yet started their PhD but are interested in working with Genizah material, or who are in an early phase of their Genizah-related dissertation and need some guidance by experts within the vast field. It was intended to give young researchers the opportunity to establish a network for future cooperation with others working in the same field. Report by: Ronny Vollandt, ronny.vollandt@lmu.de (Munich, October 2017). In recent years, major digitization projects focused on digital imaging and new forms of text editions. They made texts widely accessible and reshaped approaches to the study of Hebrew manuscripts. However, there is less cooperation between Jewish Studies (JS) and the Digital Humanities (DH) with regard to printed texts. The Roundtable aims, therefore, to provide time, space and structure for a pioneering attempt to synchronize research agendas in Jewish Studies and the Digital Humanities with regard to early modern and modern Jewish print cultures. Jewish Studies and Digital Humanities scholars as well as librarians and curators are invited to discuss opportunities and challenges arising from the new technologies for the textual, cultural and social analysis of Jewish printed sources. Building on the international conference On the Same Page: Digital Approaches to Hebrew Manuscripts (King’s College London, 2015), the Roundtable serves to support the formulation of research agendas in Jewish Studies that are informed by ongoing developments in the Digital Humanities, and encourage research in the Digital Humanities that responds to new directions in Jewish Studies. Irene Zwiep (Universiteit van Amsterdam) and Andrea Schatz (King’s College London) welcomed the Roundtable participants and thanked the European Association of Jewish Studies and the Amsterdam School of Historical Studies for their support. Zwiep pointed to an earlier joint initiative that brought together scholars from diverse fields to forge new contacts and exchange: the conference Sepharad in Ashkenaz: Medieval Knowledge in Jewish Enlightenment Discourse, which led to an early Open Access publication (Royal Netherlands Academy of Arts and Sciences/Chicago University Press, 2007). Zwiep also mentioned the conference On the Same Page: Digital Approaches to Hebrew Manuscripts (2015), which the Roundtable complements by focusing on early modern print cultures and the specific questions associated with them, e.g. regarding Jewish multilingualism, geographical space, the linking of various disparate library and archive collections, and methods, scales and techniques of textual analysis. Schatz added that Jewish Studies have benefitted immensely from large-scale digitization projects that transformed access to sources, but – due to the challenges that sources and scripts present to OCR – the vast majority of early modern material consists of images. As a result, the range of digital approaches to textual analysis developed in Literary Studies remains largely unexplored in Jewish Studies. Historical approaches tend to work around this by focusing on metadata (e.g. Footprints), but new initiatives are needed to support textual analysis and the transition from the digital display to the digital discovery of knowledge. Both organisers hope that Jewish Studies and DH scholars as well as librarians and curators (from the Bibliotheca Rosenthaliana, Ets Haim/Livraria Montezinos and Jewish Historical Museum) will share in the end a better sense of questions, initiatives and tools developed in the DH, and of questions and challenges that Jewish Studies scholars would like to approach. They announced the launch of an EAJS Digital Forum (more details on EAJS website) to support exchange and emerging future collaboration. Note: Links to all digital projects and websites mentioned at the Roundtable will soon be provided in an Appendix of ‘Digital Humanities Resources’. It is misleading to speak of ‘big data’ in the DH, as they are neither ‘big’ nor, strictly speaking, ‘data’. Joanna Drucker’s concept of ‘capta’ seems rather more accurate, as it points to the imprecise, ambiguous, situated, always already interpreted character of data captured in the DH. The computational rhetoric of speed, scale and objectivity, too, should be interrogated: code does not need to scale to be useful; and it is never neutral. What is required is ‘literate computing’: a new literacy of reading and writing code that recognizes its specifics as text [cf. Joris J. van Zundert/Tara L. Andrews, Qu’est-ce qu’un texte numérique? – A new rationale for the digital representation of text, DSH (08/2017)]. A digitized edition is not a digital edition: a digital edition requires the representation of text expressed in code or as a graph, i.e. as a network of connected words. Synchronizing agendas: libraries prioritize digitisation to preserve and showcase their collections; academics need researchable digital material. Aviad Stollman (National Library of Israel) referred to the NLI’s legal task to collect, preserve and make its items accessible. This involves the physical availability of documents, the availability of metadata, simple online availability (via plain images) and sophisticated online availability (e.g. including OCR), the provision of tools for dissemination and connectivity, and the mediation of texts – digitally and culturally – to wider audiences. Difficult questions present themselves when the quality of presentation (e.g. OCR) and quantity need to be balanced in terms of costs, and when the Library needs to decide what tasks to take on and what to leave to the scholarly community. Responding to these dilemmas, the NLI has decided to pursue an Open Library strategy, exposing its data to search engines in linked data format, and to provide APIs (Application Programming Interface) to make data easily usable by other parties. The further development of OCR for various scripts is a major desideratum that the Library hopes to tackle with the scholarly community. Marek Tuszewicki (Jagiellonian University Krakow) reported on the process of digitalization of Judaica in Poland, which appears both dynamic and inconsistent. It is propelled by various independent initiatives, mostly unrelated with Jewish Studies. At the same time, an increasing number of specialised portals are dedicated to the preservation of Jewish-Polish heritage, covering archival databases, digitized press and books as well as photography. As a result, Digital Judaica are already used by a number of Polish and international scholars, yet navigating the scattered data poses challenges. In addition, there is the issue of the preservation of Jewish books in private ownership. New initiatives to cooperate and connect collections would be highly desirable. Débora Marques de Matos (King’s College London, Universität Münster) emphasised the interconnection between building tools and interpreting text in the Digital Humanities. As an example, she presented SephardiPal, (an offshoot of DigiPal), which allows for new levels of quantity and quality in the comparison of manuscript groups via the modelling of script and decoration. The tools can be transferred to early modern printed texts to ask new questions, e.g. about the salient features of prints from a certain press or the characteristics of specific type used beyond its place of origin, e.g. ‘otiot Amsterdam’. Alicia Montoya (Radboud University Nijmegen) presented the ERC-funded project MEDIATE – Middlebrow Enlightenment Disseminating Ideas Authors, and Texts in Europe (1665–1820). Focusing on readers rather than writers, this bibliometric project will create an interoperative Open Access database including a) all known printed auction catalogues for private libraries, and b) all books listed in a selection of these catalogues. The project is also interested in the rhetoric of the catalogues and will work not only with transcriptions but also with a mark-up scheme. Sustainability is addressed through the cooperation with the Consortium of European Research Libraries (CERL). Joshua Teplitsky (Stony Brook University) offered an introduction to Footprints – Jewish Books Through Time and Place, a project that seeks to trace the dissemination and circulation of Jewish books since the inception of print. ‘Footprints’ refer to extant copies as well as ‘ghost books’ whose ownership is attested to in the past without any known extant copies. Footprints are gathered manually, via batch upload and via trusted crowd-sourcing. The project allows researchers to investigate ownership and readership of books beyond the circles of authors and scholars; it contributes to the ingathering of scattered sources by forging new collaborations and tools; and it supports case studies of transnational and transcultural exchange. As it is an open source project, its technical architecture can be used by other initiatives. While there are a number of aspects that have not yet been pursued (e.g. the inclusion of manuscripts that are not based on books, or the linkage to authorities lists such as VIAF and the Bibliography of the Hebrew Book), some major challenges are of a different nature: DH research projects are not yet subject to an agreed format of peer review, and their role in tenure procedures is unclear. the issue of peer review and relevance for tenure and other modes of research evaluation: the AHA is developing standards, and the AJS and EAJS should pursue this as well. Avriel Bar-Levav (Open University of Israel) reflected on the digitization of books from a ‘history of the book’ perspective. He reminded the audience not only of what was lost in early digitization projects but of a failure to remember the loss: the Bar-Ilan Responsa project, which did much to support early digitally enhanced research, did not include any paratexts, and in doing so, significantly altered the character of the works it presented. It also implied the canonization of a selected corpus of texts that was only gradually questioned and put on the agenda. Similarly, it is important to reflect on the role of textual intimacy in the relationship between reader, text and book, and how it may be affected by digitization and digital approaches to textual analysis. On the one hand, digitization may afford more detailed insights in many aspects of the book, but on the other hand, the differently mediated character of the digitised text with its emphasis on vision cuts the reader off from other sensory experiences. The implications for readers and researchers need to be investigated. Javier Castaño (Spanish National Research Council [CSIC], Madrid) took as his starting point the ‘Sephardic vs. Ashkenazic Jewries’ dichotomy, which, as a rather simplistic construct, does not take into account constellations of diverse Jewish regional cultures. He suggested that new (digital) projects might ask what happens when such regional cultures are dissociated from ‘their’ historical territories, and when print cultures emerge in contact areas, such as Italian-Iberian, Iberian-North African and Iberian-Ottoman contexts. A further focus might be the interaction of Jewish and non-Jewish agents of print culture, i.e. printers, booksellers, traders, buyers and the authorities involved. A further important area for DH research projects is the recovery of dispersed and fragmented Sephardic manuscripts and books. Michael Miller (Central European University Budapest) presented briefly the Digital Humanities Initiative at CEU (as of summer 2017 a member of DARIAH-EU) and two associated projects in Jewish Studies: the Salgotarjani Way Jewish Cemetery and Budapest Judaica. He then offered a detailed outline for a digital research project that would investigate legal and actual boundaries between Jewish and Christian domiciles and trace Jewish mobility in the eighteenth and nineteenth centuries. He emphasised the relevance of sociological approaches and material culture for further DH-JS collaboration. Pavel Sládek (Charles University, Prague) called attention to the important role of manuscripts in the early modern period. Might the Digital Humanities have a role in investigating them and their place in relation to early modern print cultures? Similarly, the Digital Humanities may open up new avenues for the study of paratexts as sources that shed light on reading practices and ‘bibliographical awareness’. Bart Wallet (Vrije Universiteit / Universiteit van Amsterdam) presented three projects that would benefit from engagement with the DH: a) an analysis of the semantic fields of ‘Jews’ and ‘Israelites’ in Dutch newspapers; b) a reconstruction of the changes in the Dutch Jewish book industry, 1795–1850, and c) an inventory and analysis of the genre of luhot, from the first example printed by Hayyim Druker in 1709 until the 1850s. In all cases the corpus consists of a vast body of texts and a great number of variables, which suggests the adoption of digital approaches. Andrea Schatz observed that most research projects presented at the Roundtable investigate either the production of manuscripts and books, or the movements of books and people, and they often rely on reading paratexts and metadata. This raises the question how we can digitally reshape the reading of (early modern) texts qua texts. The dualism of (traditional) ‘close reading’ and (digital) ‘distant reading’ is unhelpful in this respect, as it tends to create barriers between ‘traditional’ and ‘digital’ scholarship. It might be more useful to consider a wider range of modes of ‘readings’: ‘intensive reading’ identifies and interprets patterns and networks in one text or a small corpus, linking texts to social contexts, and employing digital tools only to visualize results; ‘extensive reading’ uses digital tools to analyse larger groups of texts and to pursue questions that are not otherwise researchable (but the researcher has still read all the texts); ‘distant reading’ employs digital approaches to capture and analyse large numbers of texts. The category of ‘extensive reading’ might be particularly relevant, as it constitutes a link to previous scholarship and defines modest, achievable aims for new digitally enhanced scholarship. Irene Zwiep took her inspiration from the ongoing recalibration of the Haskalah movement in reflecting on what has come to be seen as two centuries of Wissenschaft des Judentums (WdJ). Her main working hypothesis is that (a) the WdJ (with the definite article) was an early twentieth-century invention, a shibboleth to which scholars referred while positioning themselves within the broader political field; and (b) that this contested construct cannot be projected retrospectively on previous scholarship. Instead of describing the history of ‘the’ WdJ in terms of monogenesis, wave-like dissemination and supersessionism, she proposes to approach it as an ensemble of national mentalities and practices, loosely (sometimes dialectically) kept together by transnational networks of journals, contacts and correspondence, and by the memory of Zunz’s short-lived Verein. DH techniques and strategies should help us not only to identify concrete networks, but also to point out subtle affinities, constants and differences between the various national traditions. She also emphasised the need for training options, e.g. via summer schools. good practice: Yerusha has an editorial team to ensure the integrity of data, style etc. and is anchored in the NLI; Footprints has consulted extensively with projects and coders to ensure sustainability: how can code be updated, exported and imported, and not become too complex? to offer an interface between Jewish Studies and DH organisations (such as the ADHO) and a point of contact for scholars in various contexts who want to find out more about DH in Jewish Studies. The EAJS Digital Forum will also be involved in the preparation of the EAJS conference 2018 in Kraków. Link to schedule for the Roundtable. Applying current theoretical assumptions to Yiddish literature in historical and contemporary perspectives, we intended to draw together various realms of Yiddish Studies. This laboratory aimed to extrapolate the multifold cultural interactions that have made Yiddish culture a relay station of Modernity and a lieu de mémoire of Postmodernity. Given the central role of Yiddish Language, Literature and Culture to Jewish Studies in general, our aim was to draw together current edge methodologies and theory in the field of World literatures and translation. The key questions of the laboratory emerged from previous cooperations and ongoing exchanges between the involved researchers (e.g. the workshop at the ICLA 2016 on “Places and Media of Encounters. Transfer, Mediality and Situativity of Jewish Literatures,” and the lecture series on Yiddish Literature and Language at the University of Vienna during the summer term 2016). On the one hand the format of the laboratory enabled us to discuss ongoing research projects. On the other hand, through the pre-circulation and preparation of texts prior to the event, the dialogical structure of the sessions, and the roundtable discussion, we identified, addressed and highlighted new questions and future fields of research. Furthermore, the laboratory has strengthened and expanded the network of Yiddish scholars across Europe, and positions the University of Vienna as a hub for Yiddish Literature and Language Studies. The structure of the laboratory consisted of five panel sessions and one roundtable discussion. They centred around topical, methodological and theoretical issues of translation. In order to enable productive and lively discussion, papers and material were circulated among the participants in advance. All sessions included junior and senior scholars, one discussant and one chair. The task of the discussant was to bring in his own expertise, to comment on the papers, to formulate overarching questions and to open up the discussion. All participants had 15 minutes for their respective presentation leaving an hour for discussion, allowing an extensive exchange between the panellists and the audience. In total there were five two-hour sessions and a 2.5-hour roundtable. The laboratory was opened by a welcome address of Melanie Malzahn, dean of the Faculty of Philological and Cultural Studies, and a thematic introduction by the conveners. Providing a book table, we offered the possibility for the participants to showcase their own publications related to Yiddish and translation, or their own translations. The Theodor Kramer publishing house also provided books for the book table, primarily translations from Yiddish into German. The laboratory was attended by an audience numbering around thirty to fifty listeners. The first session was dedicated to the general discussion of different strategies shaping translation processes into Yiddish and from Yiddish. Monika Adamczyk-Garbowska (University of Lublin) focussed on the Americanization of Polish Jewish literary and documentary texts. She highlighted tendencies in American translations, such as transforming topographical and cultural details of concrete Polish places into rather mythical places (embellishment and distortion). Augusta Radosav Costiuc (Babeş-Bolyai University Cluj-Napoca) introduced us to her approach of translating Itzik Manger’s poems into Romanian. She discussed her choices as translator concerning the preservation of rhythm, melody and the aesthetic effects of the original, basing her analysis on the theoretical reflections of Umberto Eco. Rachel Wamsley (The Hebrew University of Jerusalem) turned in her contribution to the “Shmuel Bukh” to show how the biblical past (the story of David) was translated into Modernity. She outlined the process of poetic historicization, providing the early modern reader with a Yiddish chivalric romance. The following session centred on the figure and the task of the translator, his embeddedness in specific knowledge cultures and cultural, political and commercial interests. In his talk Daniel Kennedy (Maison de la culture Yiddish – Bibliothèque Medem) showcased the translational work of Hersh D. Nomberg who aimed at translating important works of world literature into Yiddish. Nomberg’s oeuvre encompassed oriental classics such as Hafiz and Tagore, drawing the Yiddish reader’s attention to hitherto lesser recognised literatures as well as joining in the contemporary orient – occident debate. Moreover, Kennedy analysed how Nomberg’s translations influenced his own writing. Khayke Beruriah Wiegand (Oxford Centre for Hebrew and Jewish Studies) considered in her contribution the translational gap between the Yiddish writer Bashevis and his American construct I.B. Singer. She argued that with his practice of supervising the work of his co-translators, translational works were produced that met the expectations of the American reader, but lost the aesthetical qualities of the Yiddish originals. Holger Nath (University of Regensburg) illuminated the work of Nokhem Shtif who pursued his project of standardizing Yiddish also by means of translation. Nath focussed especially on two translations from German and Russian into Yiddish from the realms of education and historiography; those areas being of crucial importance to the conception of and discourse on national identity at the turn of the 19th-20th centuries. Thomas Soxberger (Vienna) finally presented reflections on Josef Leftwich as a mediator or even an “ambassador of Yiddish literature” to the English reader. Leftwich intended both to transmit Yiddish culture to future Jewish generations and to introduce it to the non-Jewish world. The three participants of the roundtable discussed various concepts of translation, basing their analysis and argumentation on specific examples in different media settings, be it literature, the arts or music. Sarah Ponichtera (YIVO New York) argued that Louis Zukofsky shaped his poetics of translation by integrating translated passages from Yiddish into his American poetry. He thus created a highly complex poetic language that had the power to destabilize notions of the foreign and the familiar. Susanne Marten-Finnis (University of Portsmouth) portrayed the illustrated Yiddish magazine of arts and letters Milgroym, and the impact of Rachel Wischnitzer as editor on the connection of cosmopolitanism, translation and the mediation of art. She argued that Wischnitzer provided with her magazine a platform where she negotiated the global to share it with a national audience. The third roundtable participant Benjy Fox-Rosen (Vienna/ Cluj-Napoca), a musician, addressed in his contribution the concept of embodied translation, i.e. how to perform Yiddish songs for a non-Yiddish speaking audience. He took up different forms of connections between translation and performance, and outlined how the symbolic meaning of Yiddish can be subverted by the use of non-verbal material and the productive use of misunderstandings. The fourth session was dedicated to the relation between translation and discourse, i.e. to what degree and how translations are dependent on current debates or are influenced by them. Jeffrey Grossman (University of Virginia) discussed how the German translations of the Yiddish writings of Peretz or Sholem Aleichem were first received by the Allgemeine Zeitung des Judentums as a form of “ghetto writing”, producing thus on the one hand forms of misrecognition, on the other facilitating the dissemination of parts of Yiddish literature and culture among German readers. Looking at Argentina, Mariusz Kałczewiak (Tel Aviv University/Justus Liebig University Giessen) investigated in his contribution how translations from Yiddish into Spanish served for activists such as Salomón Resnick as a means to transmit Jewish culture to the younger generation, to ensure cultural continuity, to counter both assimilation tendencies and antisemitism, and to connect Argentinian Jews with the global Yiddishland. Sasha Senderovich (University of Colorado Boulder), who participated via skype, elaborated on the translation resp. reception history of Dovid Bergelson’s novel “Judgement”. Published in 1926-1927, it was regarded by contemporary Soviet critics as a questionable attempt of Bergelson to gain entry into the Soviet Union and Soviet literature, and by American critics after the Second World War as an endorsement of the Bolshevik regime and the surrender of his artistic integrity. Trapped in this reception gap the novel was only translated into English in 2017. Concluding the session, Irad Ben Isaak (Tel Aviv University) turned to the translation history of Sholem Aleichem’s novel Menachem Mendl into Hebrew. He outlined the discursive contexts of the three existing translations: the revival of Hebrew (translation by Y.D. Berkowicz) at the beginning of the 20th century, Yiddish as a vanishing language at the end of the 20th century (translation by Ariel Aharoni), and the presence of Yiddish traces in contemporary Hebrew (translation by Beni Mer). The respective discourse thus informed and shaped the translation immensely. The fifth session looked into the central role of translation in transmitting cultural knowledge and thus enabling continuity and cohesion. Ilay Halpern (Potsdam University) dedicated his presentation to the Polish Jewish writer Adolf Rudnicki whose Polish Holocaust prose was re-claimed and salvaged for future generations by Lili Berger’s Yiddish translation. In this way Halpern addressed the link between processes of translation and canonization. Taking up on the pedagogical realm Yehuda Bitty (Herzog Academic College) presented ideas on translation in American Jewish textbooks. Monika Polit (University of Warsaw) discussed the historical figure of Mordechai Chaim Rumkowski and the highly ambivalent image of him in Yiddish testimonies and contemporary Holocaust fiction, based on those testimonies. The last session dealt with translational phenomena in media other than texts. Rebecca Margolis (University of Ottawa) discussed the various strategies of subtitling in contemporary Yiddish films and series, thus highlighting the relationship between script and spoken language, addressing the agency of the audience and extrapolating the challenges connected to film productions in multi-lingual settings. Our last presenter, Agnieszka Legutko (Columbia University), offered a comparative analysis of the literary, film and theatre representations of the figures dybbuk and golem. She interpreted those postmodernist reinventions of Yiddish culture or re-mediations as mistranslation. The laboratory was composed of six sessions in total, five panel sessions and one roundtable discussion. They centred around the general topic of the event: the role of translation in/for Yiddish language and culture in Modernity and Postmodernity. The participants were of various academic ages and represented the manifold institutions and research areas relevant to the heterogeneous field of Yiddish studies. The laboratory was internationally composed with participants from Eastern Europe (Romania, Poland), Central and Western Europe (Austria, Germany, the UK, France), Israel, the USA, Canada. The structure of the laboratory enabled lively and extensive discussions guided by the discussants, and created an atmosphere where scholars, translators and musicians in the field of Yiddish studies could share their thoughts, reflections and arguments. Networking: The laboratory provided an outstanding occasion for translators, educators, musicians and scholars in the fields of Yiddish Studies, Jewish Studies, Comparative Literature, Slavonic Literatures, Medieval Studies, German Studies, History, and Cultural Studies, to share their translational experiences and theoretical approaches, and to discuss perspectives and future collaborations in the field. Participants observed that the inter-disciplinarity and the internationality of the event made it very productive. Training of early career researchers: The EAJS grant supported the participation of 14 early career scholars in attending the laboratory, and offered the possibility for academic training, networking, and (for some of them their first) publication. Two publications are planned. First, selected contributions will be published in a special issue of the peer reviewed online journal “In geveb”. Second, an edited volume will be published with Boehlau (book series “Schriften des Centrums für Jüdische Studien”), co-edited by the conveners. The laboratory convincingly demonstrated the importance and relevance of the event’s topic for Yiddish, Comparative and Cultural Studies. Future workshops and co-operations will take up questions and issues raised during the laboratory. Conference reports will be published in “In geveb. A Journal of Yiddish Studies,” and “Zwischenwelt. Zeitschrift für Kultur des Exils und des Widerstands”. Event Financed by the European Association for Jewish Studies (EAJS). Further cooperation partners were the Institute for Jewish Studies, Doktoratskolleg Galizien (both University of Vienna), the IKG – the Viennese Jewish Community, and the Vienna Convention Bureau.